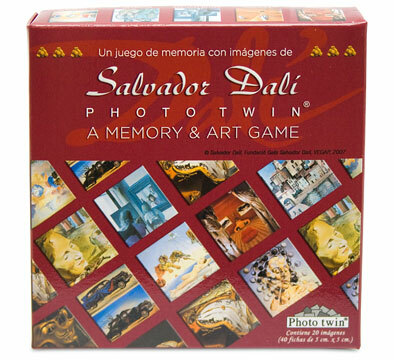 Monday, August 13, 2007 at 10:03PM Mrs. G.
Mrs. G. bought this game at the Museum of Modern Art store. She convinced her son that he was going to love playing it with her, but the truth is she bought it hoping that after they play it a few hundred times, she will remember where she put her bike lock key. "The only difference between myself and a madman is I am not mad." I learn much from your article. Life is a beautiful journey. Everyone can only live but once. Wise people knows that we should enjoy our life. We should care about everything around us. Clothes, foods, friends, families and everything. Come on, make a better world for you and for me. At the same time, I think my website is good as well vxekfa vxekfa - mulberry bags sale.